Firstly I would like to thank Napthine Porter for this loan pair of Clears for review, they have been used for well over 100hrs before reviewing. The Clear come in a thick black box with the word Clear printed on the front and back, there is not a huge amount on info on the box itself but those who are buying these surely know what they are getting. The box opens up in two parts, you have the carry case and a separate box which holds the accessories. The overall unboxing is a very pleasant experience, and the materials used are definitely premium. The build of the Clear is excellent, the headband is coated in leather and perforated microfibre fabric, the sliders are metal as is the mesh on the cups. 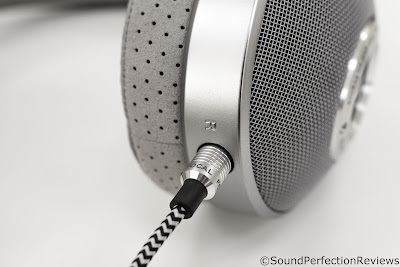 They are made mostly out of metal in fact, with perforated microfibre earpads and 3.5mm detachable cables. 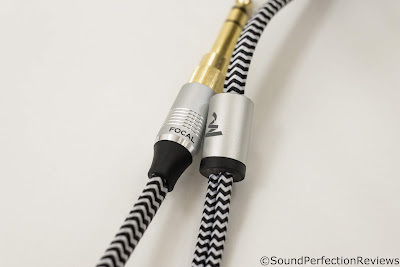 The cables themselves are sheathed in fabric and feel very robust, the only issue being is that they are a little stiff and retain the shape of where they have been coiled in the packaging. I'm sure over time they will straighten out though. I have no issues with the build quality of the Clear, everything is expertly put together and impeccably finished. It's a shame the headband padding looks difficult to replace though, as I know in a few years it'll wear out. Accessory wise the Clear come with plenty, you get an excellent hard carry case that is the perfect size for general carrying. Also in the box you will find 3 cables, single ended 1.2m with a 3.5mm jack (and screw on adaptor), 3m with a 6.3mm jack and a 3m with a 4-pin XLR connector. I am really happy they have decided to include a balanced cable in the box as so many of us have balanced sources now. 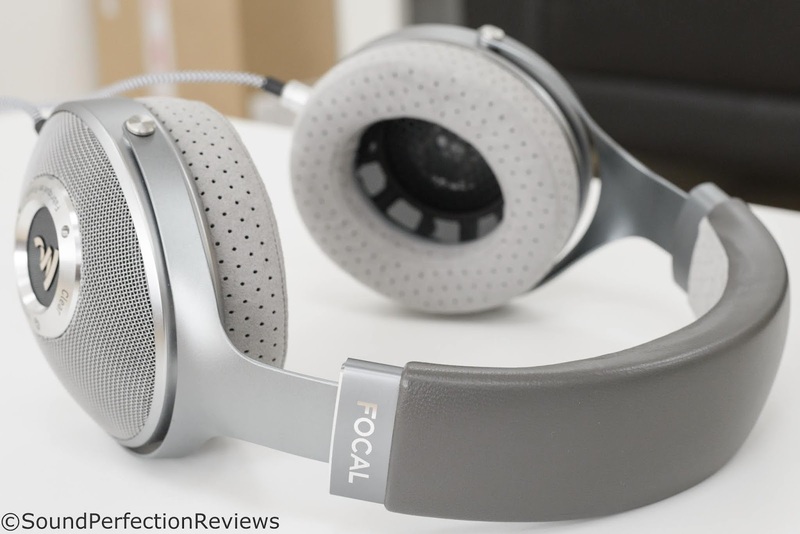 Overall Focal have included a lot more than most companies, so this really stands out as an excellent set of accessories. The Clear are not the lightest of headphones but I would not call them heavy. The earpads and angled drivers means there is a lot of space for your ears in the cups, and the clamping force is perfect for my slightly narrow head. Unfortunately I am one of those people who is sensitive to pressure on the top of my head, and the Clear to me become a little uncomfortable after an hour or so. The padding on the headband is not bad, but it could be a little more padded in my opinion, along with the headband being a little wider. The Clear do not heat up much after long listening due to their open nature and perforated pads. Most people will not have any issues with the comfort of the Clear, to me the headband could be slightly improved. Lows: The Clear paint a clear picture of what you are listening to, so do not expect exaggerated bass, but what you do get is an incredibly accurate and deep low end response. They do not jump out at you, but can still punch hard when called for; what is most impressive is the sub-bass is never left behind. You can hear the rumble without having to boost the volume. If there was anything they could do a little better it is backing up kicks with a little more air to make them sound a bit more realistic, as they can come across a little flat sounding sometimes. The lows are incredibly dynamic, almost coming out of nowhere when called for, but never becoming the centre of attention. The separation and layering down low is expertly handled, and they never become congested even during the most complex sections, tight, punchy, controlled and with excellent extension is how I would sum up the low end. Mids: The midrange just like the lows has excellent clarity and definition, they don't suffer from any bloat from the low end. They are not cold and clinical, they are faithful to the recording and will throw up any flaws; however this does not mean that less than ideal recordings are intolerable. Sibilance is handled well without adding any additional brightness, but it will be there if it's in the recording; the midrange is spacious and pinpoint accurate, you can tell exactly where the artist is within the soundstage. Acoustic guitars have the right amount of body, yet electric guitars have incredible crunch and power too. The midrange is simply superb on these. Highs: Never becoming too hot the highs are extremely well placed when it comes to quantity. The Clear do not have the widest of soundstages, preferring a more intimate and dynamic presentation so there is not a huge sense of space but the highs are still very accurately placed within the stage. Presence up top is very good, they have the right amount of impact and sparkle without becoming overbearing. if you like live music you will know that cymbals are not toned down and they are always present and this is like what the Clear presents, they are not toned down to please the treble sensitive, yet they are not boosted to give a false sense of clarity. 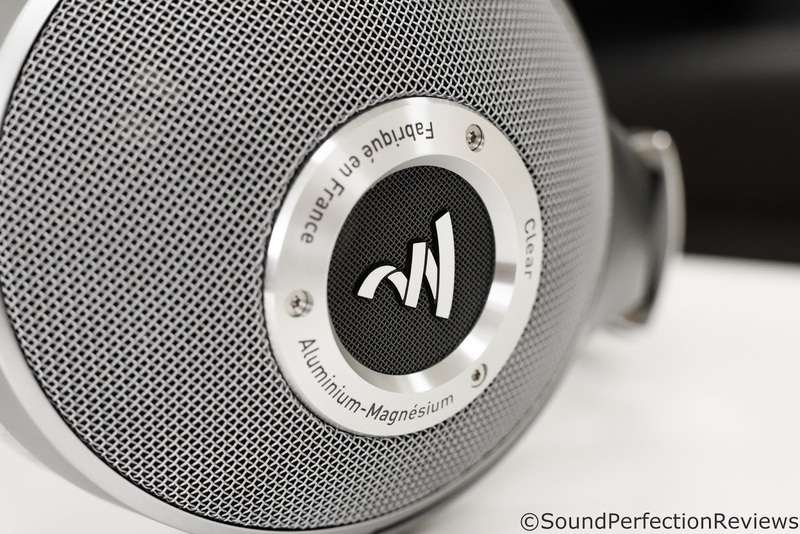 The soundstage of the Clears is not very wide, but they make up for it in layering and pinpoint accurate imaging. The separation is really impressive, they never sound congested even through the most complex of mixes. Conclusion: The Clear are simply clear, they give a fairly honest and natural portrayal of what you are listening to. They have enough weight down low to prevent them from sounding thin, but at the same time they are dynamic and can punch with authority when needed. The midrange is honest and detailed, and the treble is detailed and extended without being harsh. There is nothing on the Clears that downright sounds wrong, there are minor things that they could do better (a little bit more texture in the bass, and slightly more natural highs), but as a whole package the Clear do a lot very well and lend their hand to all genres.